Along with the spectacular modern monuments, the Gòtic (or Gothic) quarter is one of the most magical places full of charm that you should not miss. Strolling through its winding streets implies soaking up the history of Barcelona but also its legends and unusual events that its own residents don’t even know about. 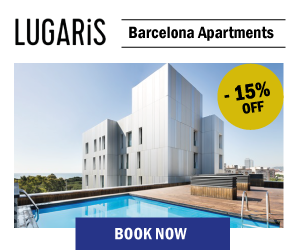 Those of us who work at Lugaris not only strive to offer you the best rental apartments in Barcelona for your holiday: we also want to help you get the most out of your stay in the Catalan capital. 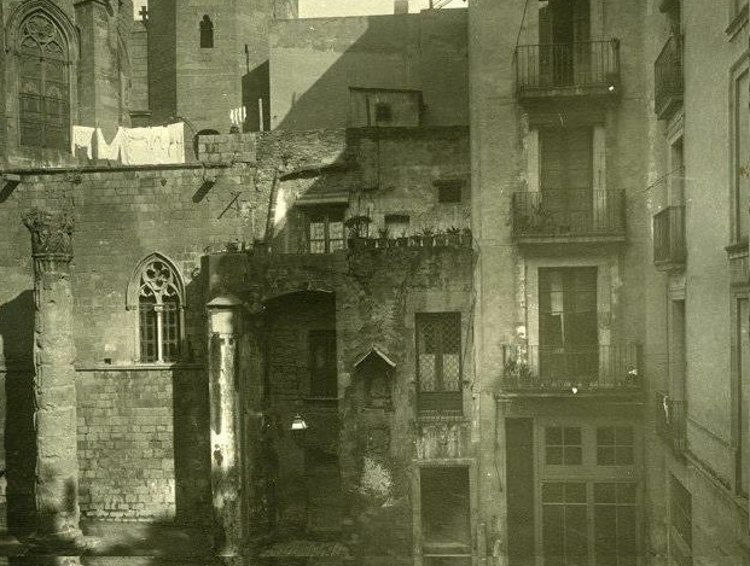 Therefore, today, we share with you some of the most surprising secrets of the Gothic quarter of Barcelona, and that without a doubt, will make you look at the old town in a different way. We are sure that many of them will leave you speechless. Want to know about them? One of the most surprising corners of the Gothic quarter is the Jewish district or Call, in which the Hebrew community of Barcelona lived until the end of the 15th century, when they were expelled by royal decree. 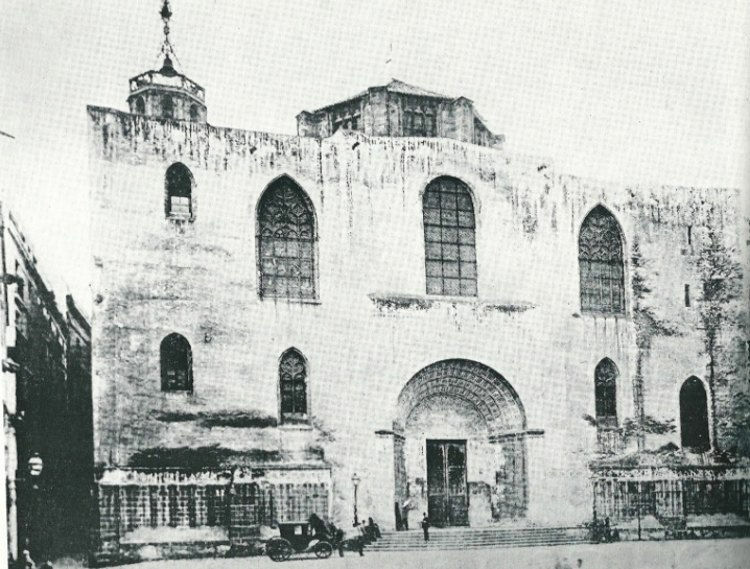 Despite its small size, it came to have five synagogues in the Middle Ages, of which only one is preserved – the Greater Synagogue, one of the medieval buildings in Barcelona whis is still standing. 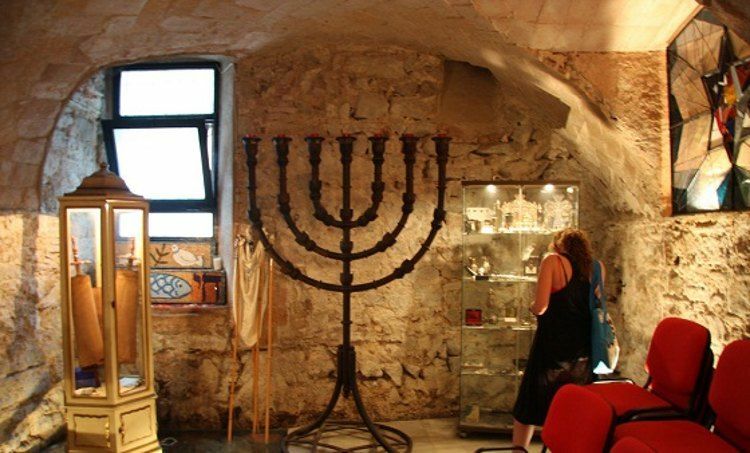 Located on Carrer de Marlet, number 5, it can boast of being one of the oldest synagogues in Europe (despite being documented since the eighth century, archaeological works place it in the third century of our era, in full Roman age). Those who wish to may visit it from Monday to Friday all day (until 6:00pm or 6:30pm, depending on the season) and on weekends only in the morning. Have you ever asked someone whether they knew how old the house next door was? Well, if you asked this to certain residents of the Call, their answer could leave you cold. 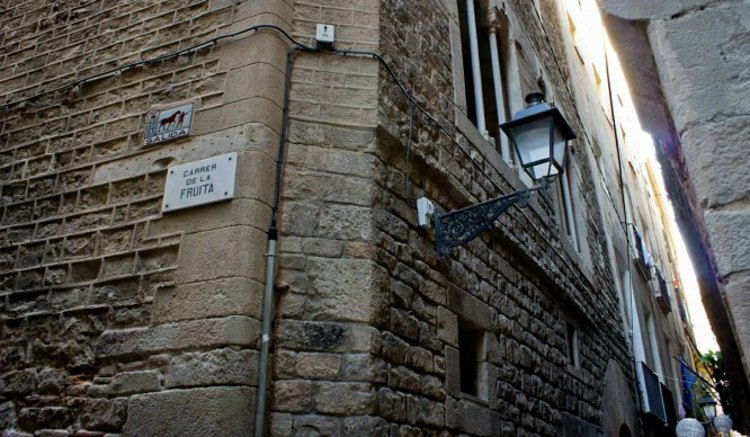 Without going very far, at number 6 Carrer Sant Domènec del Call you will find the oldest inhabited house in Barcelona. It is known that the building has been inhabited since at least the twelfth century, that it housed a brothel during the post war period and that it was renovated in the year 2000 to serve as a private home. This almost millenary construction also managed to survive the severe earthquake of 1428, which tilted its facade. Our apartments in Barcelona are certainly much more modern, so you can find the rest you desire! One of the great mysteries of Barcelona set in the Call is the exact location of the ancient Jewish baths or Mikvé. Some tourist guides assure that the ritual baths for men were inside a building that currently accommodates a decoration shop, S’olives, in the Carrer Banys Nous. However, the truth is that the type of bricks used back in the Middle Ages does not correspond with the ones used in this building, which were used in the 19th century, although the possibility of the baths being located in the establishment’s basement and could contain previous remains has not been ruled out. The same is thought about the supposed female baths, which some believe were located in the in the basement of the Caelum cafeteria (c/Palla,8). As in the previous case, the same 19th century type of architecture is used. However, for those with a sweet tooth, the cafeteria serves delicious pastry specialties which you can taste in a unique setting. A certainty of this location is that at the junction of the streets of Banys Nous, Boqueria, Arinyó and Call the public baths of Barcelona were built in the 12th century. Outside the Jewish quarter, the secrets of the Gothic quarter continue to captivate the traveler with its eye catching architecture. For example, in the plaça de Sant Just, you’ll find the basilica of Sants Martirs Just i Pastor. 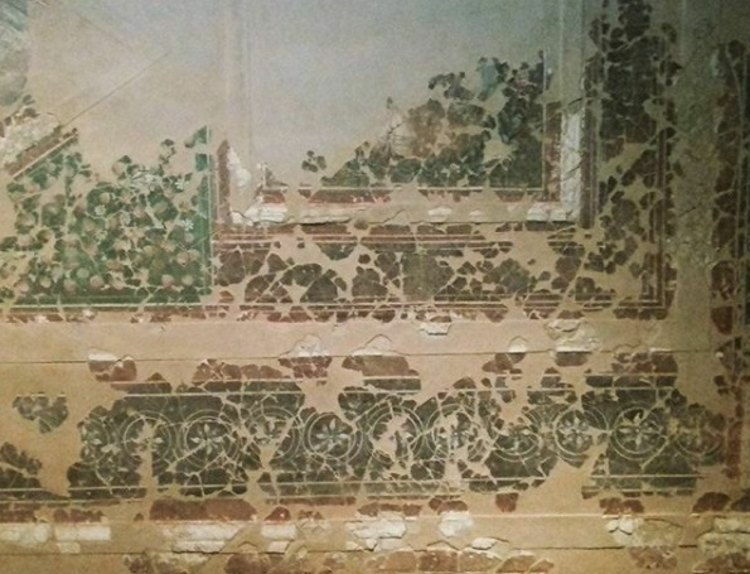 Some recent archaeological finds have allowed us to know the origin of this church, which has welcomed Christian worship uninterruptedly since the Fourth century. 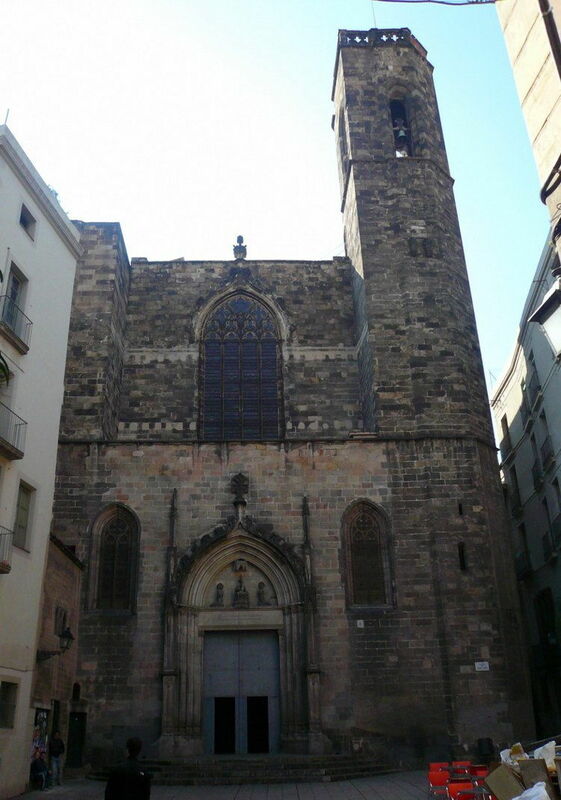 Hence, it is the oldest Church in Barcelona. The current Gothic style basilica dates from the 14th century and stands in the same enclave where there was once a Romanesque construction and a Visigothic basilica from the 6th century. And a detail worth remembering: since 1989, a Christmas dinner has been held inside for the most needed people in the city. The figure of the executioner has been one of the most hated in the history of Barcelona, to the point that nobody wanted to have the person who played this sordid role as a neighbour. To solve this situation, the former government body known as the Consell de Cent decided to assign a house in the plaça del Rei, this being the smallest house in Barcelona. In addition, it was in this space where the death sentences were executed so the executioner (or botxí, in Catalan) thus avoided having to walk through the streets of Barcelona. In the photo, you can see the old house, located in the space that the museum of history of Barcelona (MUHBA) currently occupies. Next to it, you can see one of the columns of the ancient Roman temple of Augustus, which today stands next to the remains of this construction at number 12, Carrer del Paradis. Since we have just spoken about the about the emperor, it is worth saying that the ancient Roman Colony of Barcino, in the current Gothic quarter was a city in which luxury was the predominant trend. In fact, historians are intrigued by the abundance of freed men (slaves who had bought their freedom) and ostentatious domus or houses (like those of the streets of Avinyó or de la Fruita), some with Carrara marble, the presence of three public restrooms (such as those on Carrer Regomir), in an urban nucleus that did not exceed 5,000 inhabitants. Even outside the walls, Roman villas as large as Barcino itself were built, one of the best examples being La Sagrera’s settlement. And that’s not all, some archaeologists suspects that, under the current Santa Maria del Mar basilica, there might be a Roman amphitheater. The name of the church that was there before, Santa Maria de las Arenas, in El Born, contributes to feed this theory. No, it’s not a joke: we wanted to leave the most disconcerting of secrets of the Gothic Quarter for the end. Although the streets of the historic centre of Barcelona have more than two millennia behind them most of their current buildings are not Gothic, but neo-Gothic, dating from the late nineteenth and early twentieth centuries. Do you recognize the building in the photograph below? Although it seems incredible, this was what the cathedral of Barcelona looked like in 1880. Although its interior auditorium is medieval (it was built in 1298) its imposing facade is much more recent. Neither is the inspiring square of Sant Felip Neri in the Call, which had to be rebuilt after the civil war. And the same case with the spectacular bridge that presides over the narrow Carrer del Bisbe. Although it also looks Gothic, it was built in 1928 By Joan Rubió I Beliver- pay attention to the skull with a dagger that can be seen when passing underneath- on the occasion of the international Exhibition,to be held a year later. This does not take away a bit of its interest right? 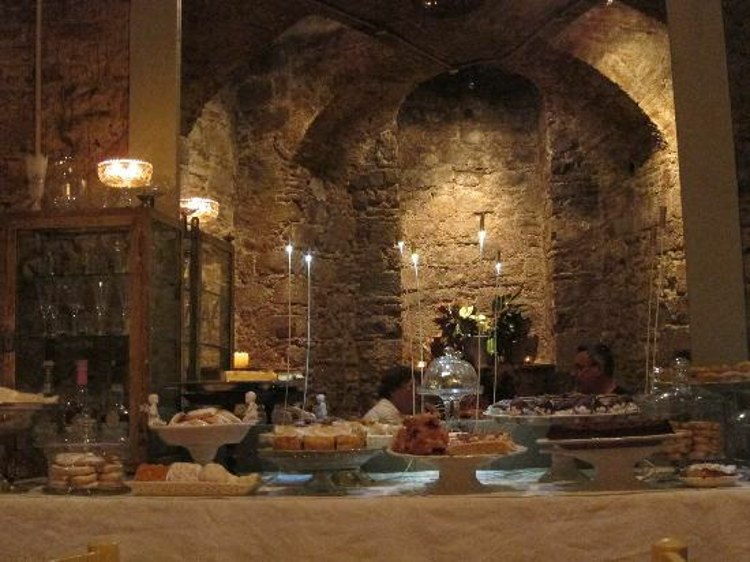 Do you know other secrets of the Gothic quarter in Barcelona? If so, we would like to know. Send us your comments and surprise us! Such an amazing place the Gothic Quarter is! It’s like getting lost in another world. There are so many things to see you sometimes get overwhelmed by all the beauty. This post helped me get some context on many of the buildings and even visited some of the places I didn’t know about.